We are conveniently located 4 miles from Illinois State University and 3 miles from Illinois Wesleyan University. We are a short drive away from all of the Bloomington State Farm Insurance offices and only 1/2 mile from AFNI & Chestnut Health Systems. There are multiple golf courses within a few minutes drive including Ironwood Golf Course, Highland Park Golf Course, and The Den at Fox Creek. Just minutes away from our property in Downtown Bloomington are numerous local restaurants, and exciting nightlife. Downtown offers the U.S. Cellular Coliseum, where you can take in a hockey game, or enjoy any number of concerts and shows. For your shopping pleasure, Eastland Mall and the Shoppes at College Hills are located a short drive from the hotel. We are conveniently accessible off of I-55, I-74, and near I-39. 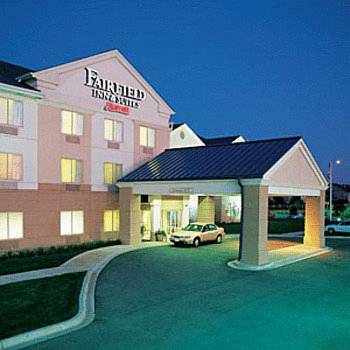 At the Fairfield Inn & Suites Bloomington, you're our #1 priority. We promise you'll be satisfied or we'll make it right. That's our commitment to you. Ask us about the Fairfield 100% Guarantee.